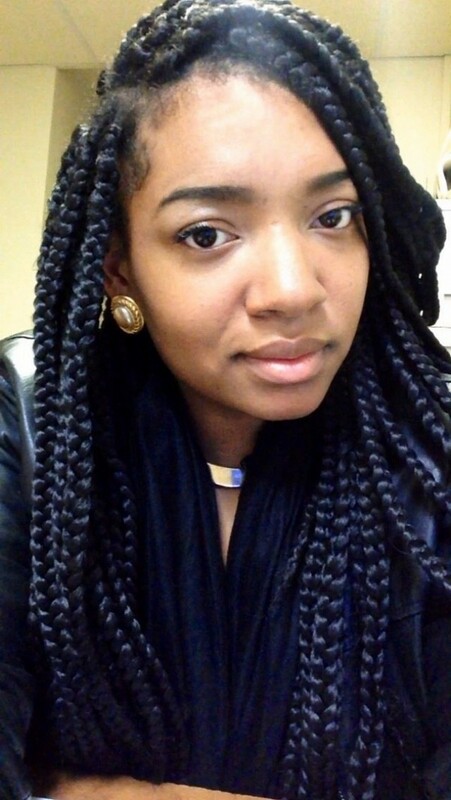 Big box braids can last for months. It involves using synthetic hair to give you a smart and modern look. 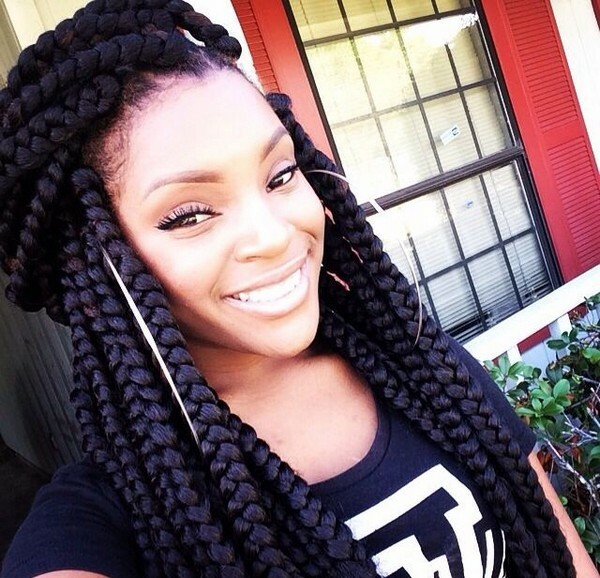 Box braids hairstyles are very popular among African American women. Any woman can easily fall in love with it most especially when you see them on social media. 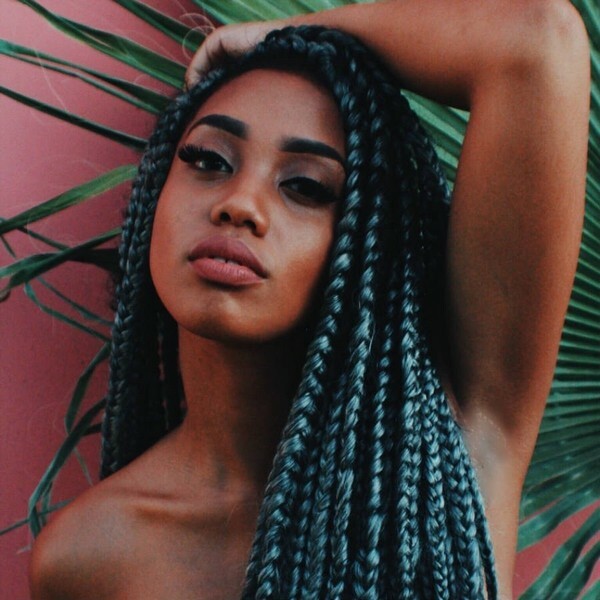 Are Big Box Braids Good for Hair Growth? 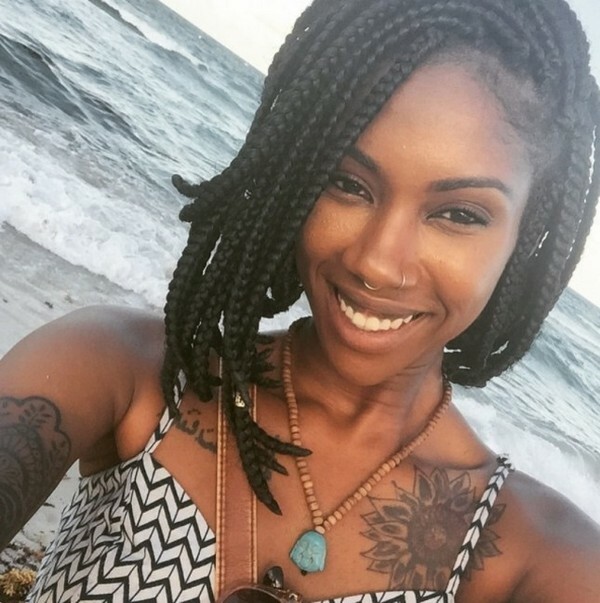 This is the best hairstyle that you can rock this summer! 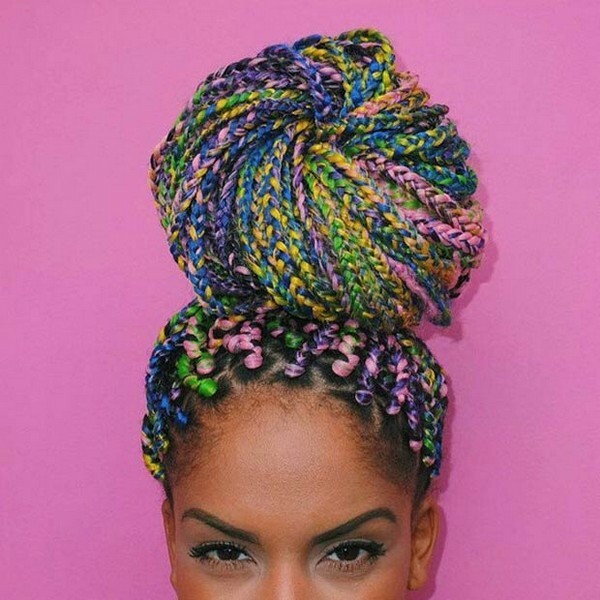 Would you like to wear rainbow colors on your hair? 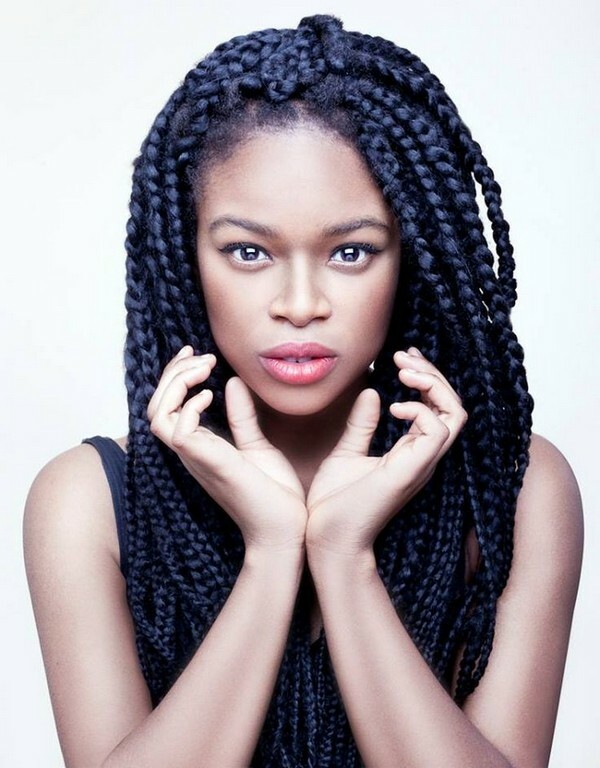 With natural hair, this is quite difficult to achieve but with box braids, it can be possible. 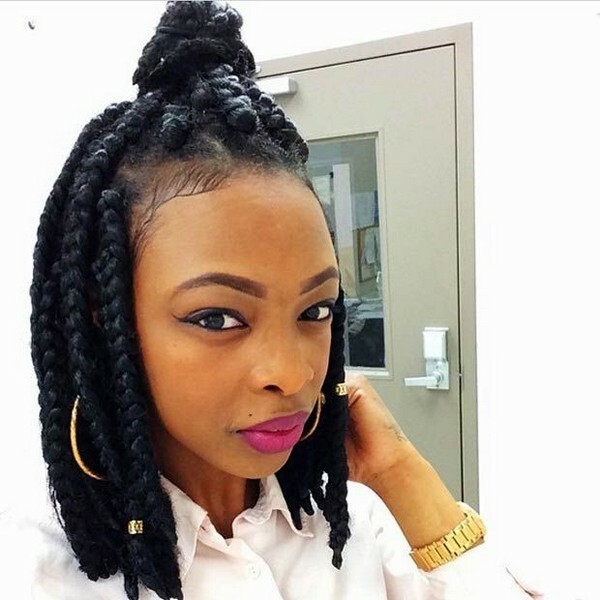 You’ll never really appreciate this hairstyle unless you’ll start seeing them on social media. 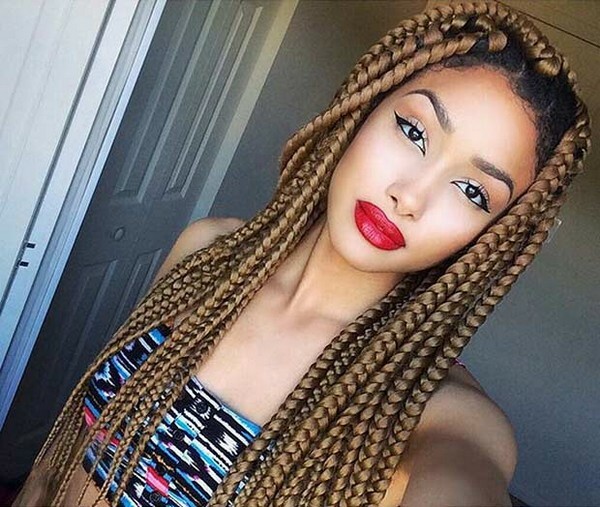 With regards to box braids, you can never think of any disadvantages. This particular style is the best solution if you want your hair to rest a bit. 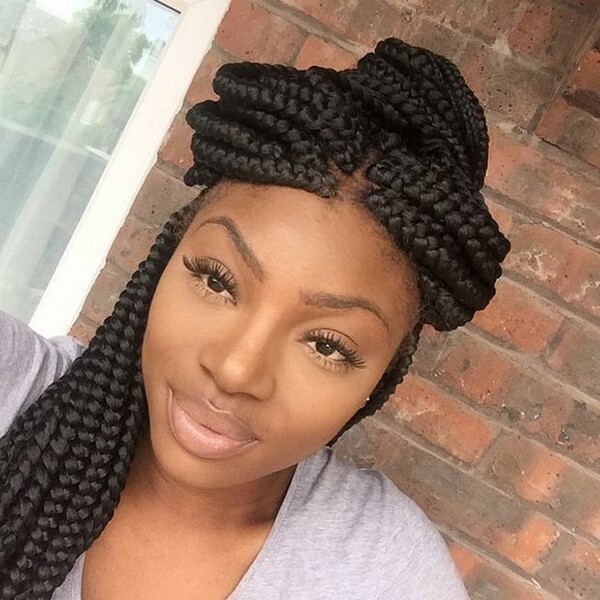 If you are too busy and you want to look stylish then why don’t you try having short box braid? Such a cool and perfect style for the summer! Why not add some hair cuffs into your hair? 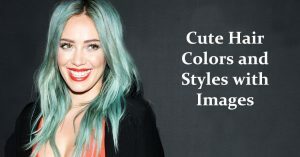 Using other colors can be fun, yet keeping your inborn color looks so natural. 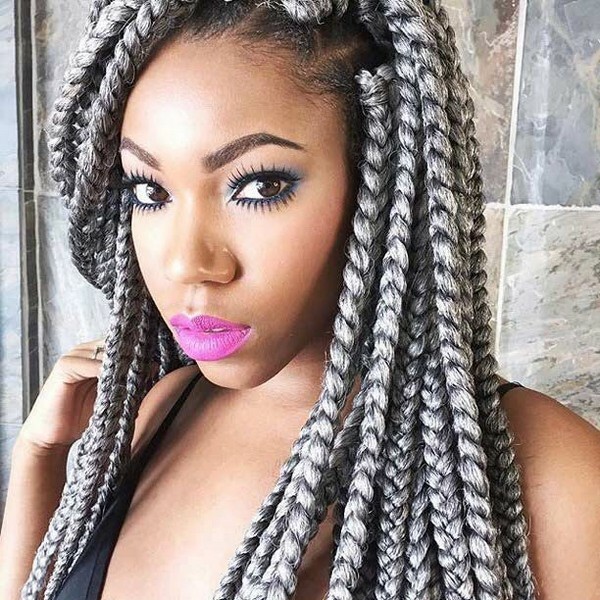 If you think that you can’t wear gray or silver color due to box braids then you are wrong. This one looks absolutely beautiful! 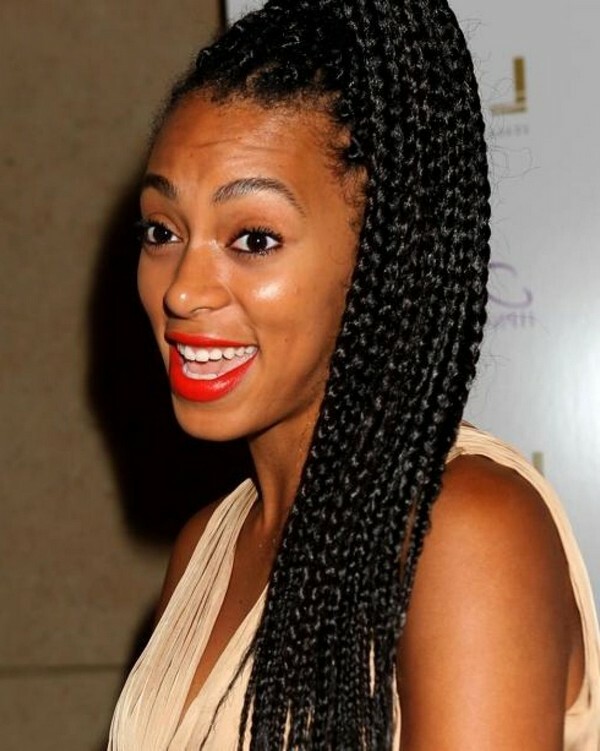 Solange usually lets her long box braids hang loose or swept them on one side. Feeling a bit bored lately? Well, why not try adding some colors to shake things up. Are you in the mood for something different? 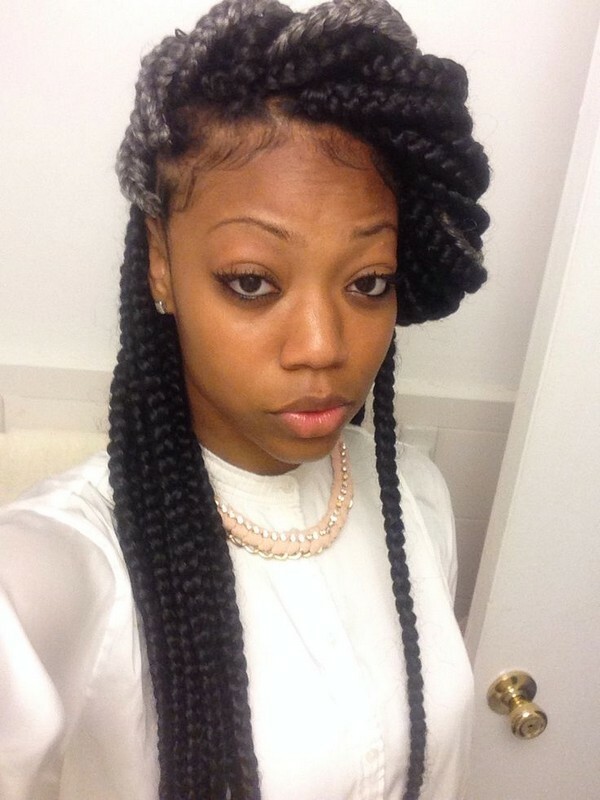 Why not try getting big box braids? 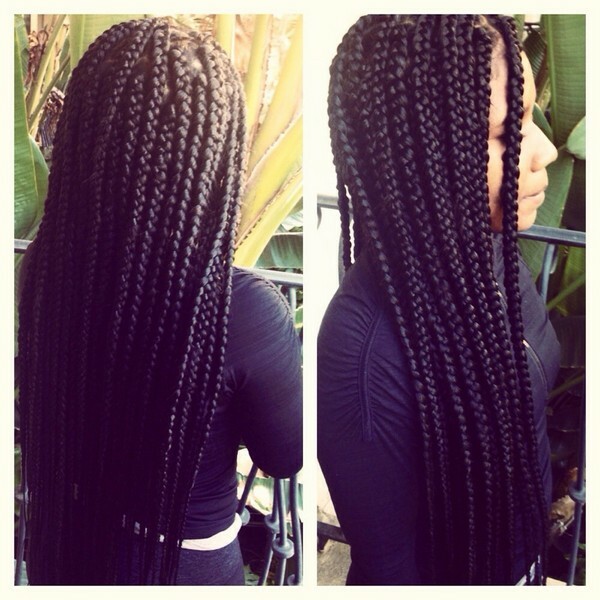 If you have enough time then you can choose small box braids. 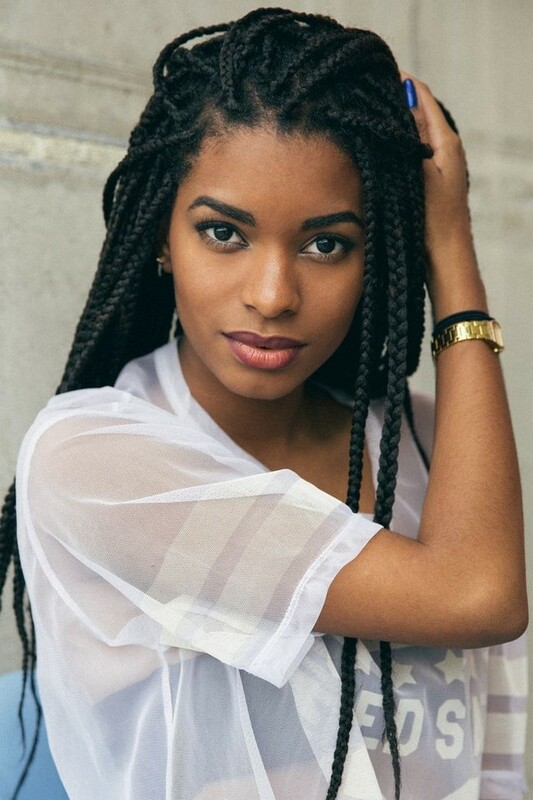 However, if you want an easier style, having big box braids are the best. 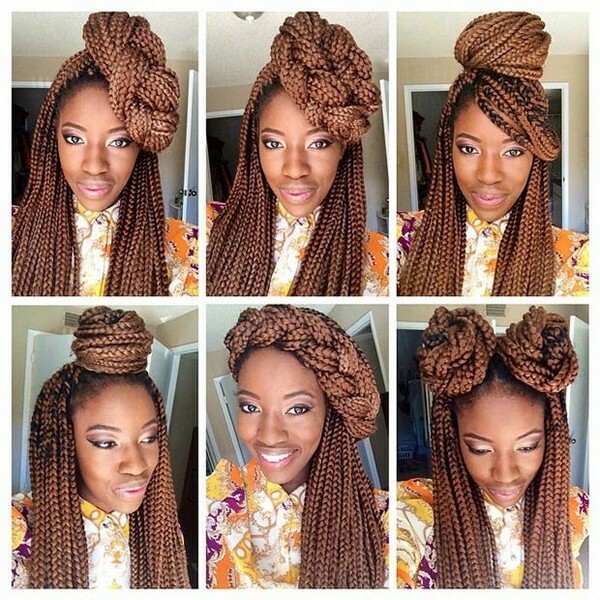 There are a variety of ways of wearing your big box braids. You can do side parting, middle parting, top bun or half up half down. Have you ever attempted to wear this kind of style? Choose an appropriate style that can make you look gorgeous. Why not? A matching color for the hair and the lips! 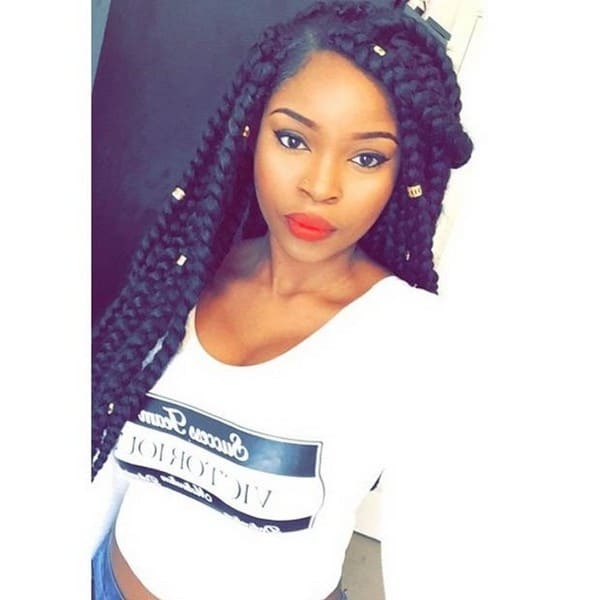 Voluminous braids can also look artificial yet very impressive. Why not give it a try? 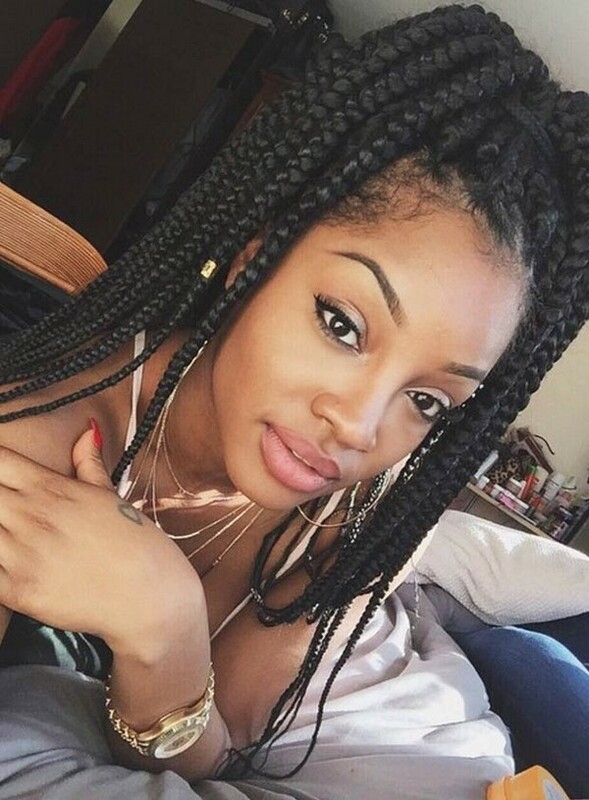 Do you like the size of these box braids? Short bob styles are unique, it makes you forget about styling your hair every day. 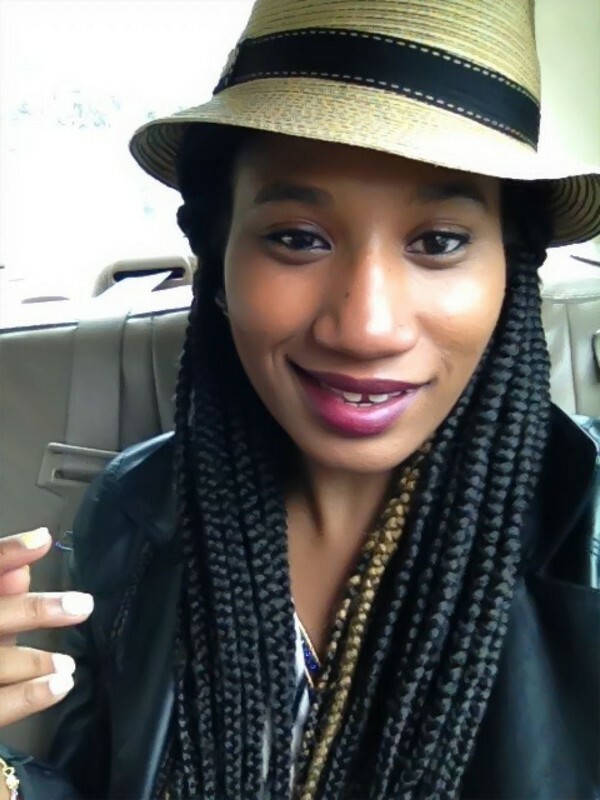 Box braids can be worn with a hat or with a scarf. Are you looking for a hairstyle that can last longer with less trouble? 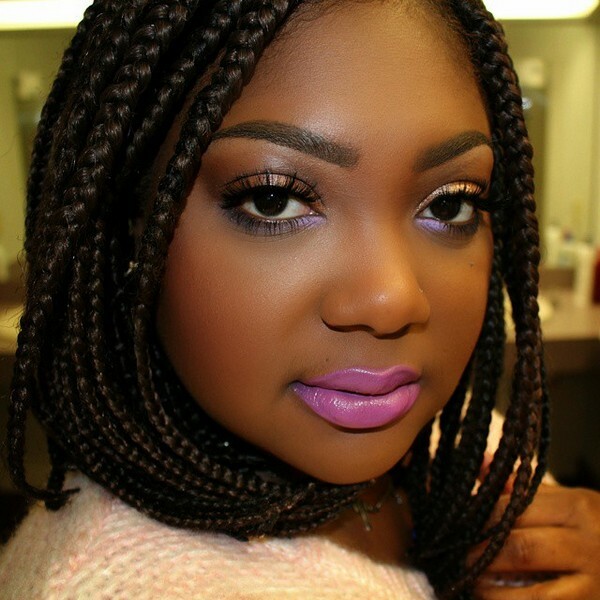 If so, then we recommend that you must go for box braids hairstyles. With red lips and nice hair, who needs anything? Are you in the mood for wearing your hair up or you want to wear your hair down? With this look, there’s no need of making that decision. Perfect for women who are not quite sure on what they want. Add some spice to your look by using a scarf. For the finishing touch, wear those gorgeous earrings and you’re ready to go. 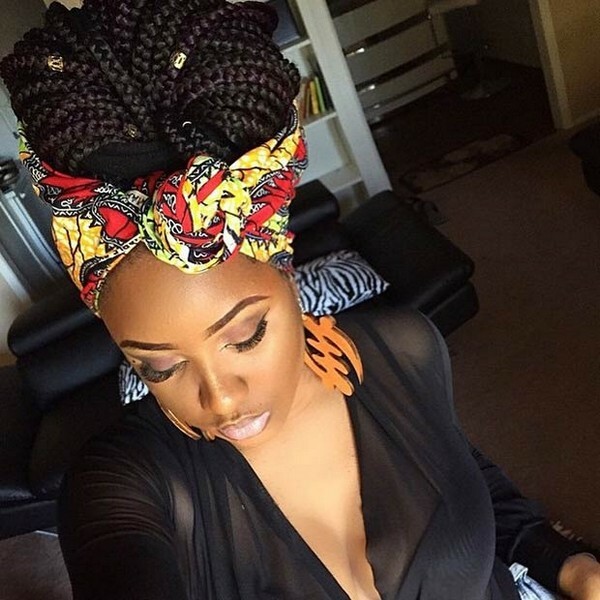 Using a scarf is a vintage hairstyle. Look how lovely it looks with braids! Styling your long black hair can be a nightmare. 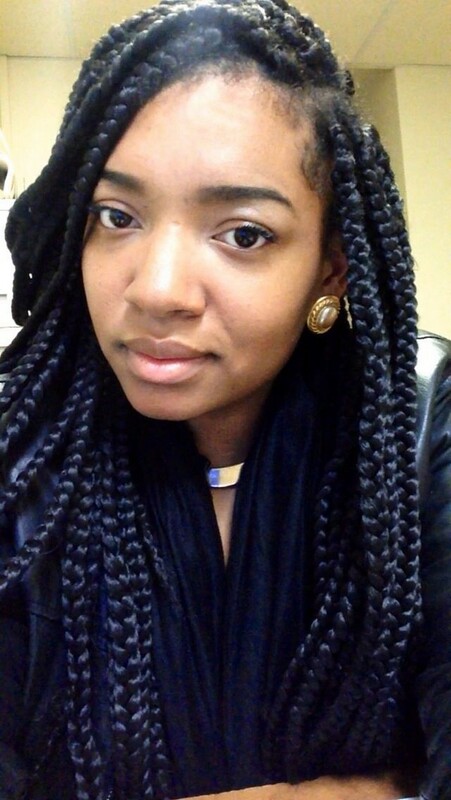 The best solution is to wear box braids. 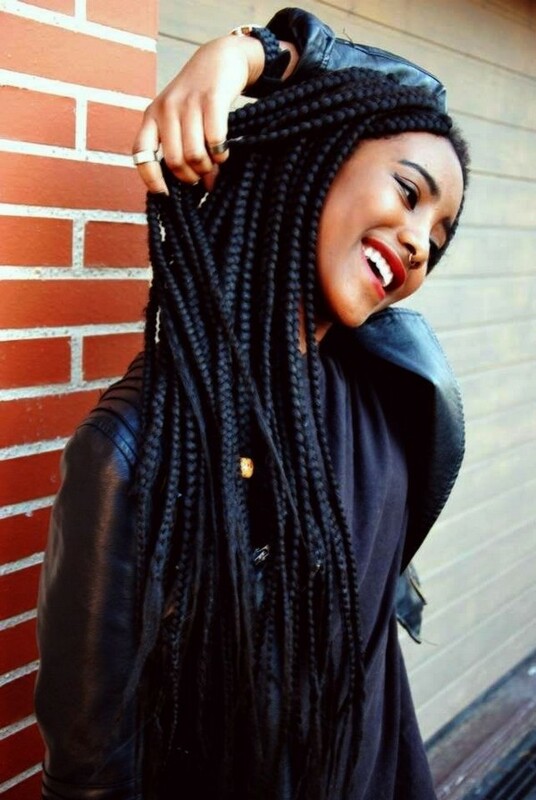 With box braids, you can forget about styling your hair for a month or even more. 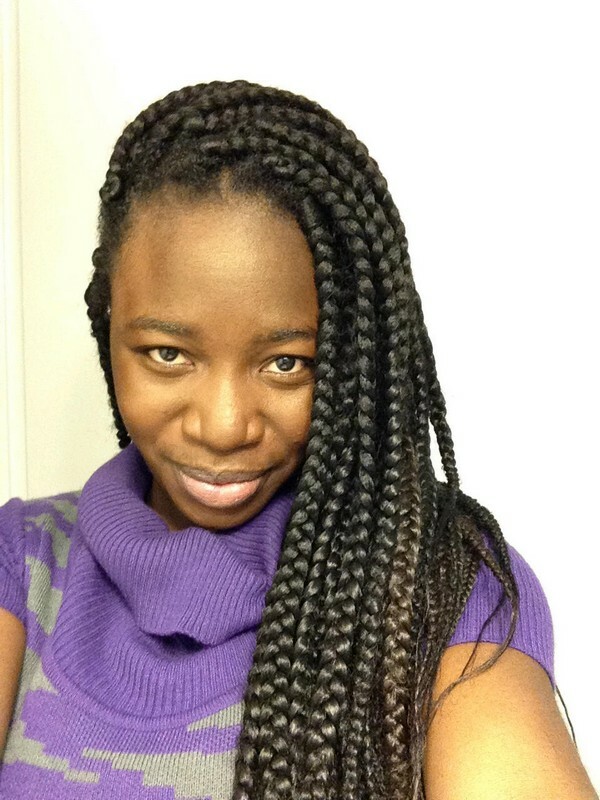 It’s very easy to play around with box braids styles since it offers different varieties. You can opt to style them up just like the one above. 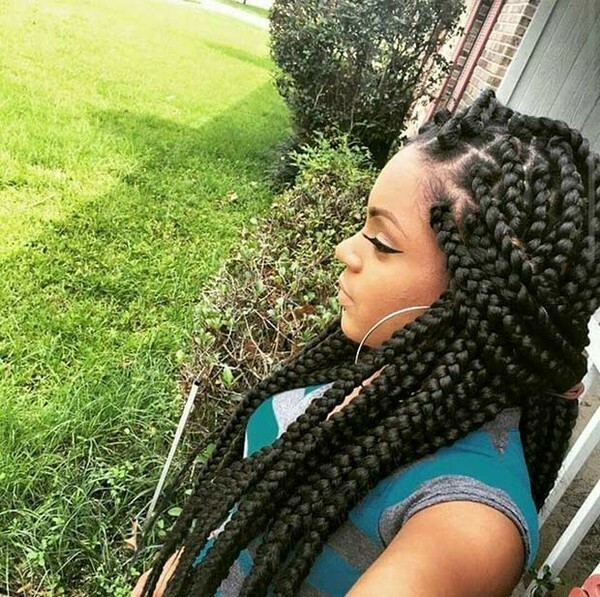 African American braided hairstyles are never boring at all. 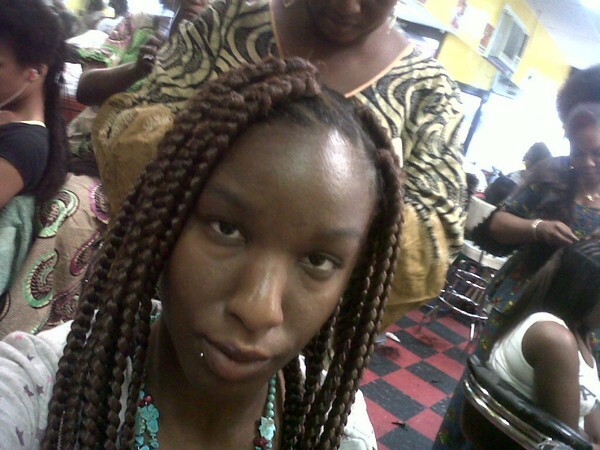 How many packs of hair do this big box braids need? Any suggestions. 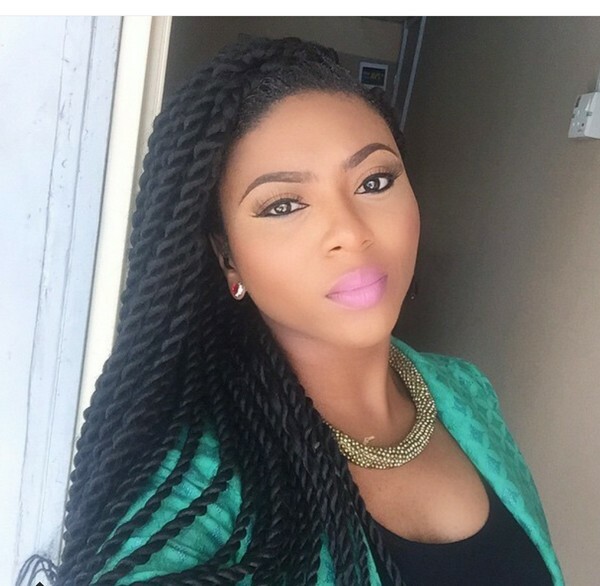 Stephanie Coker, a TV host, loves big box braids. 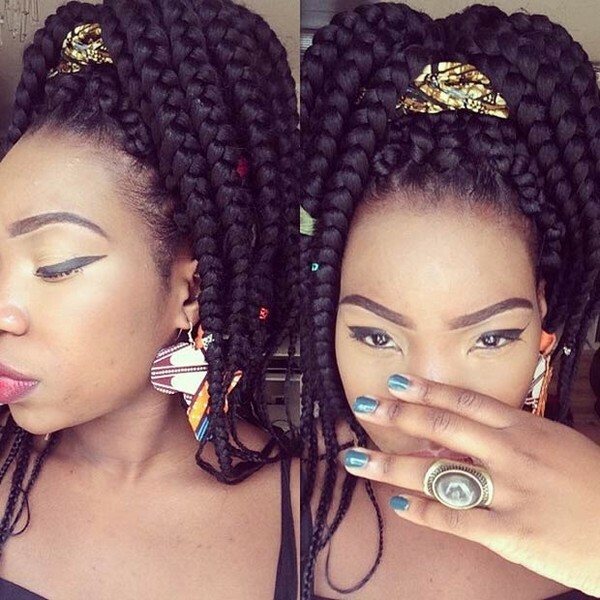 You can wear your braids in different looks, it can be elegant, funky or youthful. It’s up to you to decide, just keep in mind that all things are possible. 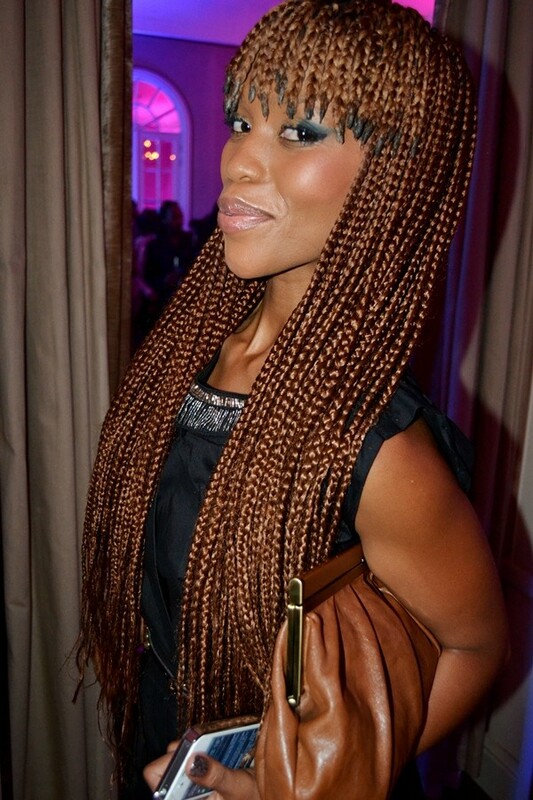 For a softer and feminine look, wear a hat on your box braids. For a more dramatic effect, weave extensions to your hair to make it look longer. 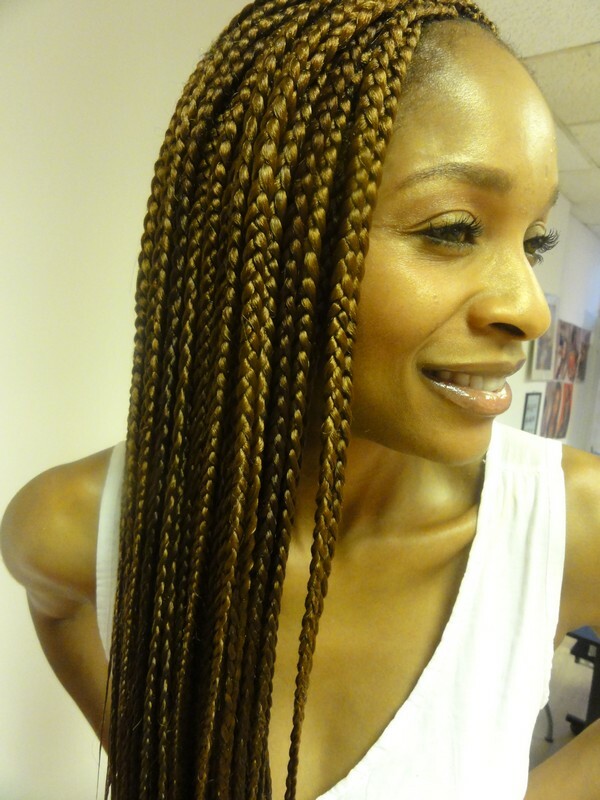 Generally, box braiding requires the use of synthetic hair, just add small pieces to give it a modern look. 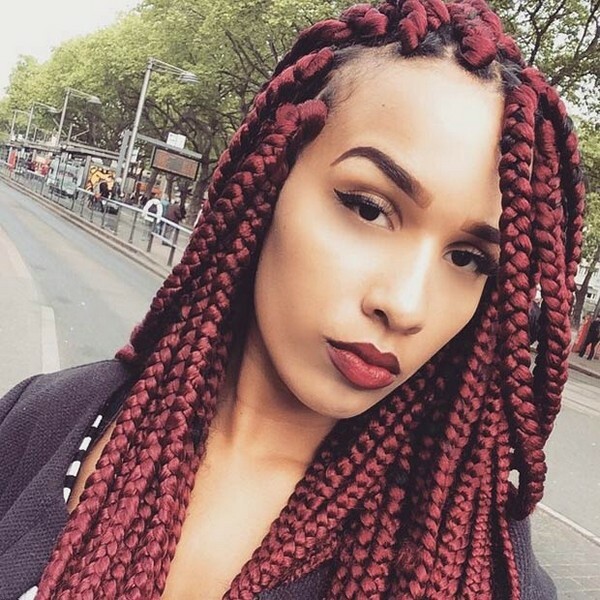 If you want to wear fun colors on your head but worried about the health and maintenance of your hair then colored box braids is exactly what you need. 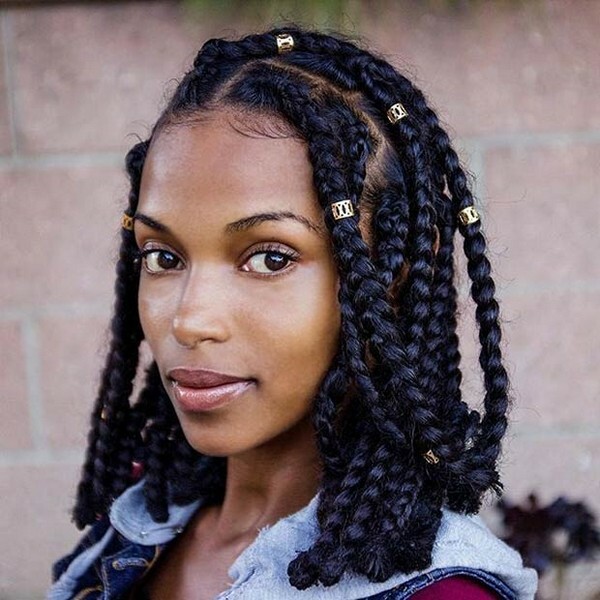 Box braid hairstyles can be seen among African American women. You can easily fall in love with it when you see somebody wearing this stylish look. 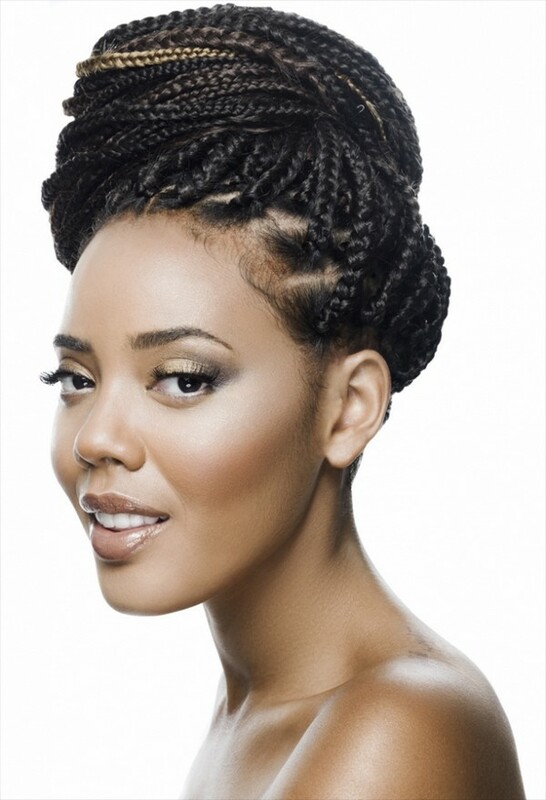 This image only shows that there are a variety of styles that you can make out of box braids. All of these styles can definitely catch anyone’s attention. 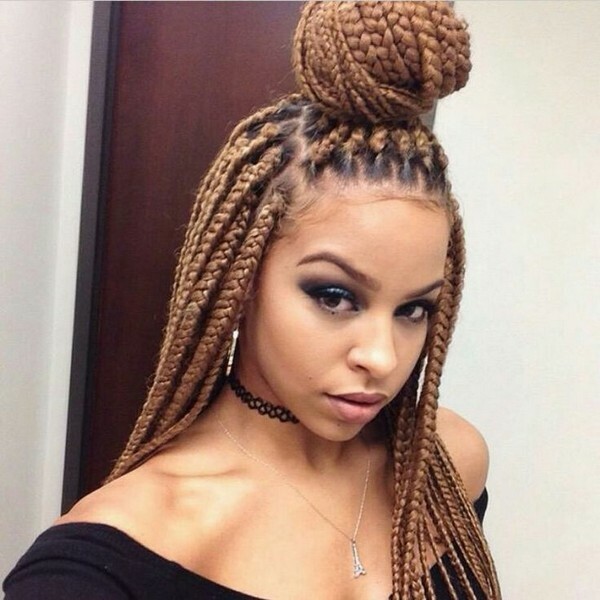 Box braids give you a new way of wearing your hair. 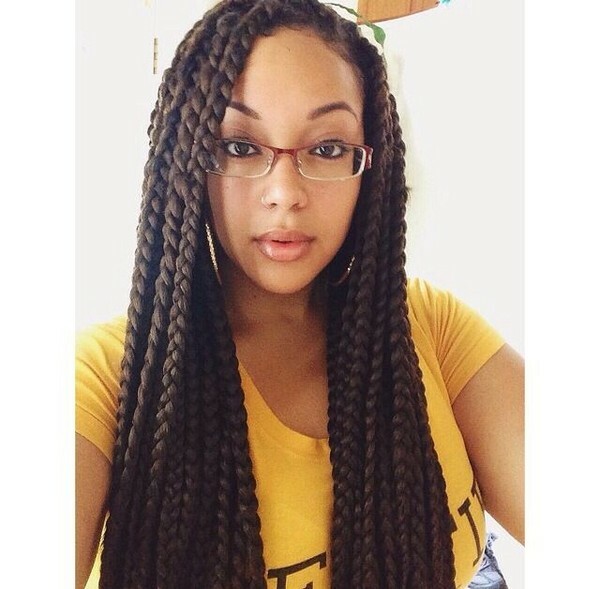 Box braids are naturally gorgeous! 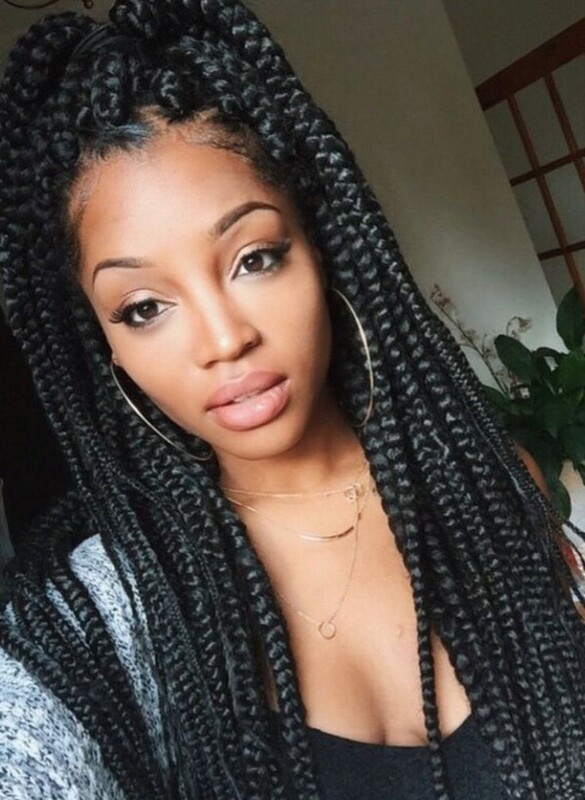 Box braids hairstyles are very popular among black women due to its diversity. 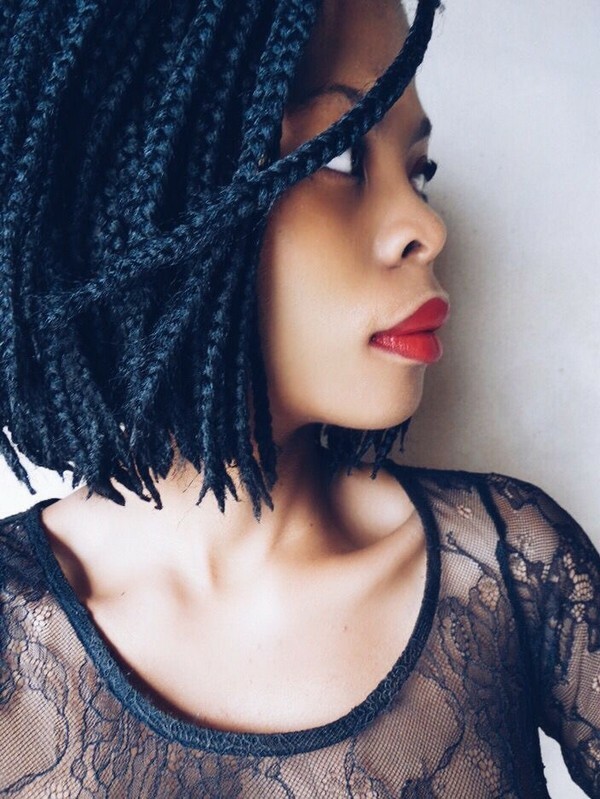 Regardless if it’s braided or not, your natural hair can still grow. The most important thing is to find the perfect hairstyle that can fit your schedule. 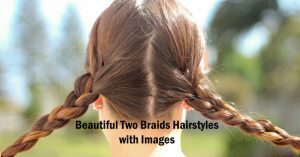 By getting your hair braided, you can give it a rest for at least two to three months. You can prevent your hair from any chemical exposure and hair breakage. 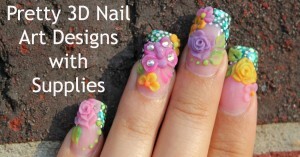 They are very stylish and simple to play along with. You can style it in a lot of ways. 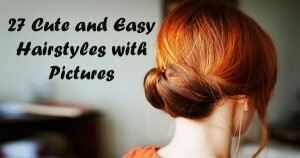 Some of the popular styles include half updo, Updo, ponytails or you can just let them hang loose. There are various colors of synthetic hair that you can choose from. Are you looking for a hairdo that never goes out of style? If so then here they are. 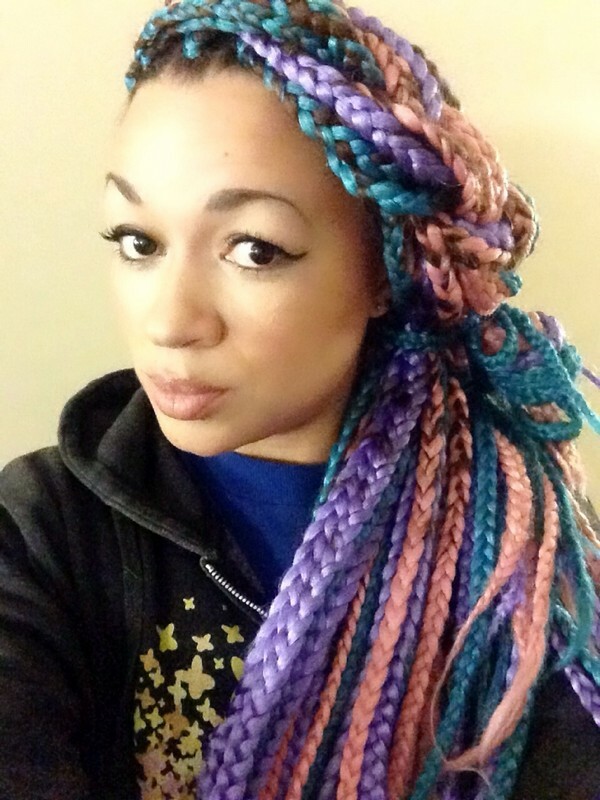 These box braids styles may take more time to finish. However, once you’re done, you will be the envy of everyone around you! 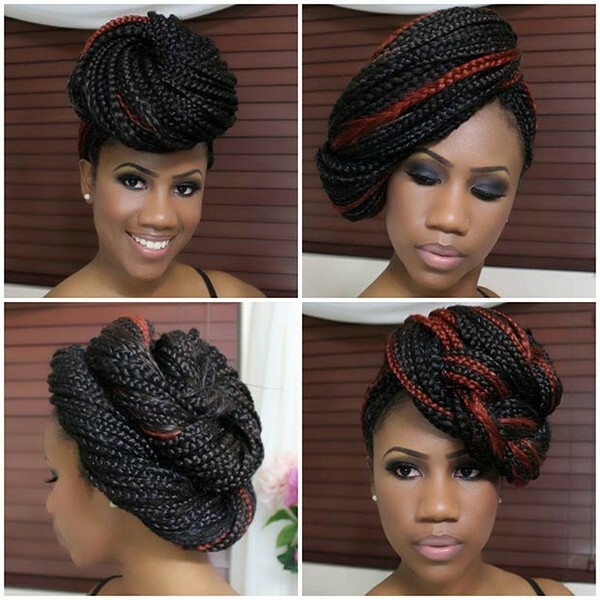 Let us inspire you with these beautiful box braids hairstyles, whether the braid areas are micro small or jumbo sized! Step One: Wash your hair with shampoo and conditioner. Comb your hair and allow it to dry. Step Two: Create a box that measures one inch wide. Use hair clips to secure the box. Step Three: Prepare three to four bags of synthetic hair. Grab one strand and bend it in half. Step Four: Wrap the synthetic hair around the one-inch box. Divide your natural hair into two. Step Five: Get the first strand and cross it over to the second strand. Get the third strand and cross it over to the fourth strand. Cross the two middle strands over each other. Step Six: Continue braiding until you reach the end, use a rubber band to secure it. Step Seven: Repeat the process on the succeeding box. Braid all the boxes of hair. 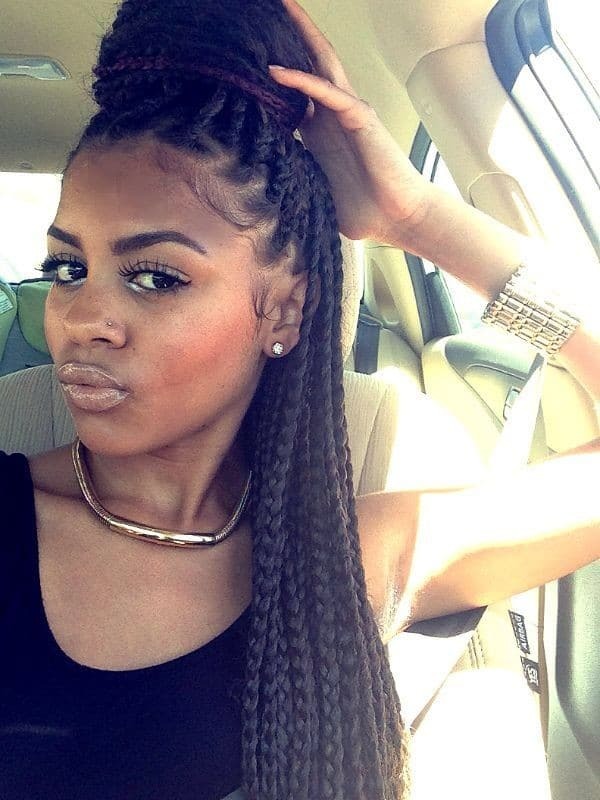 Big box braids also known as jumbo box braids and are the perfect way of protecting your hair. It can allow your hair to grow without any problems at all. 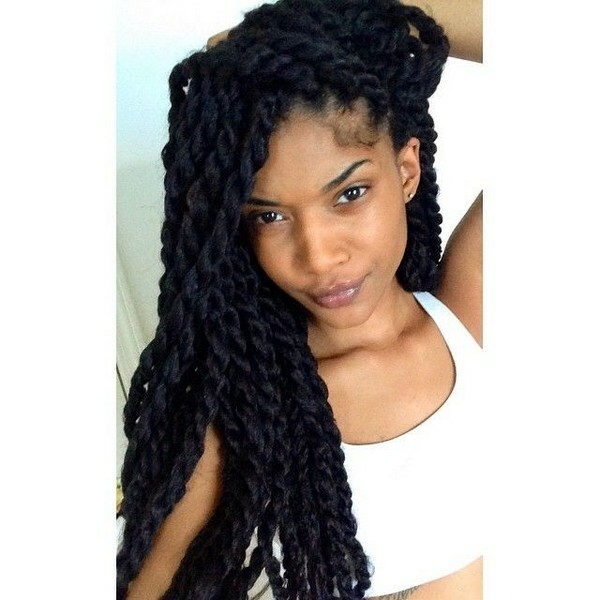 Some types of twist braid hairstyles can even last up to three months while yarn braids can last up to five weeks!